BakerRipley serves neighbors of all ages – from 6 months to 96 years old. Our littlest neighbors are part of our Early Head Start and Head Start programs. BakerRipley serves neighbors of all ages – from 6 months to 96 years old. Our littlest neighbors are a part of our Early Head Start and Head Start programs. With 31 locations and collaboration sites, we work with more than 2,000 kids in Southwest Harris County and Ft. Bend County. The Head Start program, launched in 1965, prepares children for kindergarten and helps lower-income families navigate the educational system. 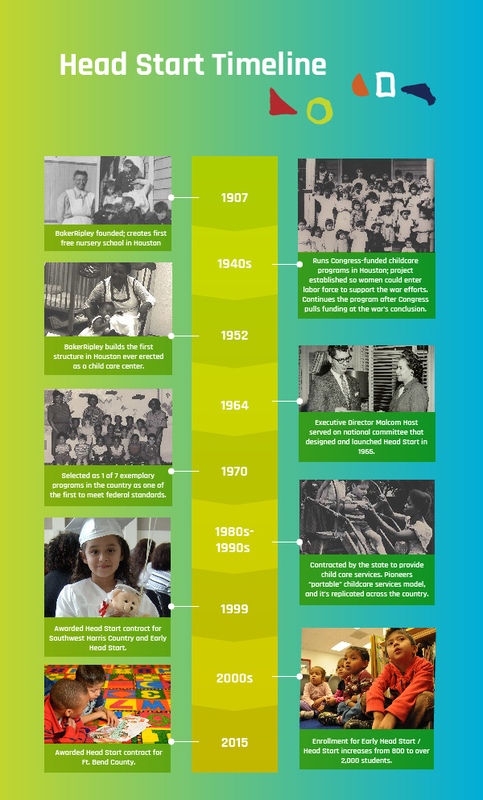 Early childhood education was BakerRipley’s founding program. Our experience in the field led us to multiple “firsts” because of our desire to stay innovative and responsive to the need of our neighbors and their families. Today, our Head Start kids are still excelling. 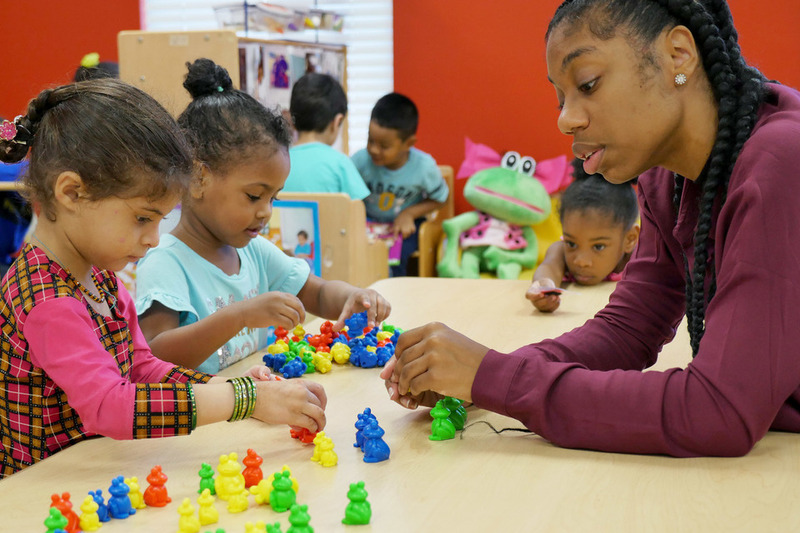 For the past six years, between 96% and 99% of children we served achieved kindergarten readiness using a nationally recognized standardized assessment. Two key factors contribute to a child’s success: strong educational instruction and parent engagement. 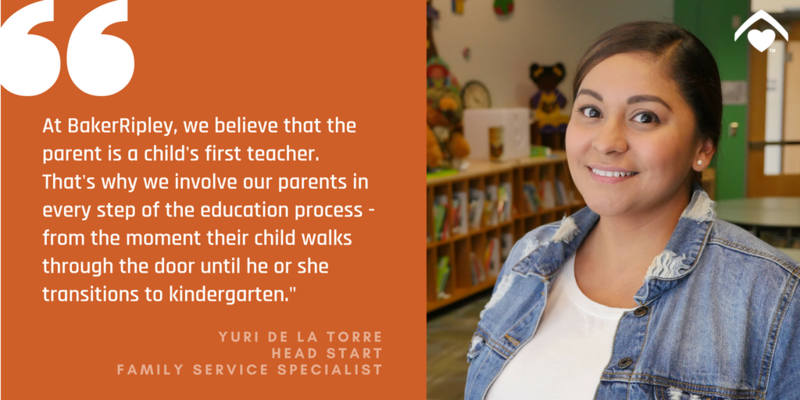 Our Head Start staff doesn’t just include certified teachers and assistants – we also have family development workers and family services managers. These teams focus strategically on working with the family to develop goals and a plan, so they are equipped with tools for their child’s success and their own. 96% of families made progress on their family plans and 325 parents registered more than 98,000 volunteer hours. Because of BakerRipley’s scope, our Head Start parents can access our network of services, so they can learn alongside their child. Our Head Start connects parents to opportunity, so they can take GED or ESL classes, visit our Workforce Solutions offices or train to become a community engineer. 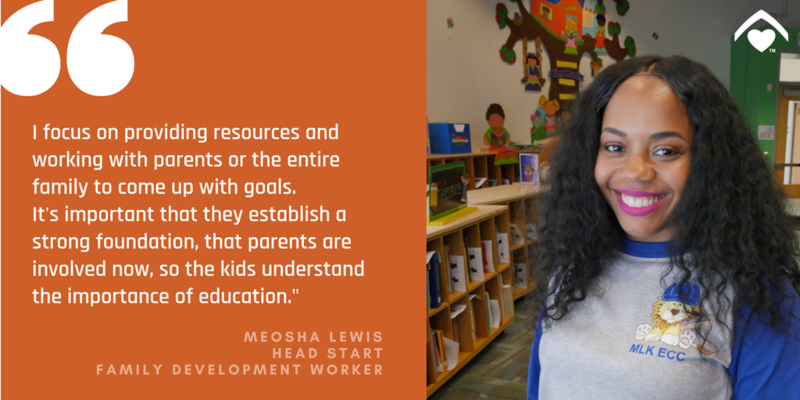 Whether through taking GED or ESL classes, visiting our Workforce Solutions offices or training to become a community engineer, our Head Start staff connects parents to opportunity. We still exist today because of our belief in the importance of early childhood education, and we continue to build upon what works.